Since its Californian beginnings a generation ago, Neurolinguistic Programming (NLP) has won world-wide recognition as probably the most powerful set of tools available for improving communication, thinking and problem-solving. Derived from the study of leading practitioners in fields as disparate as psychotherapy and selling, NLP is now used extensively in business, management, human resource development and sport. 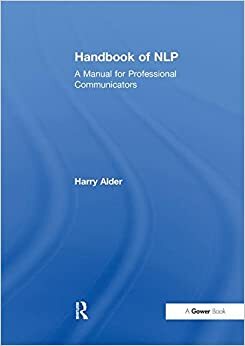 Dr Alder's Handbook brings together in one volume the ideas and skills involved in applying NLP to achieve superior performance at both the personal and the professional level. Part 1 sets out the underlying principles and introduces key concepts such as outcomes, representational systems, anchoring, modelling and reframing, together with the techniques required for putting them to work. Part 2 shows how to use NLP in training, selling, negotiating, interviewing, coaching and presentation. Throughout the text there are examples and exercises designed to help readers profit from, rather than simply understand, the procedures described. Other valuable features include a glossary of terms and a sources and resources section containing an annotated reading list and details of organizations offering NLP training. Anyone seeking a comprehensive guide to NLP theory and practice need look no further.